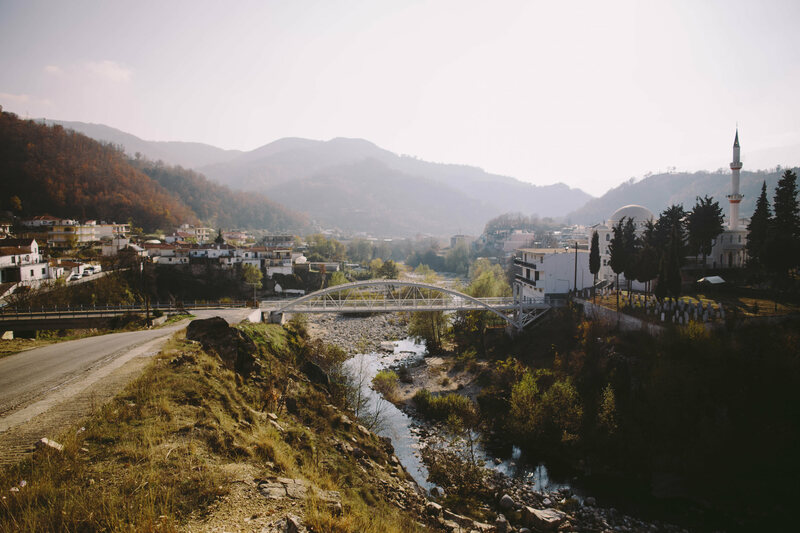 After miles of mountainous backroads north of the city of Xanthi, Greece lies a region that is commonly unmentioned when discussing modern day Greece. Far from the highly-photographed, whitewashed villages of the Greek Islands frequently featured in touristic brochures are the villages of Thrace known as the “Pomakochoria”, home to indigenous Turko-Slavic speaking Muslims. Their diverse and complex identity is a result of the many empires and governments that ruled over this hidden region. When the Treaty of Lausanne (1923) exempted Muslims of this region from population exchanges between Turkey and Greece as an effort to homogenize both nations, this created a natural isolation for decades to come. After getting to know several locals from the village of Echinos, I was able to learn more about this community of Greece that many never hear about. 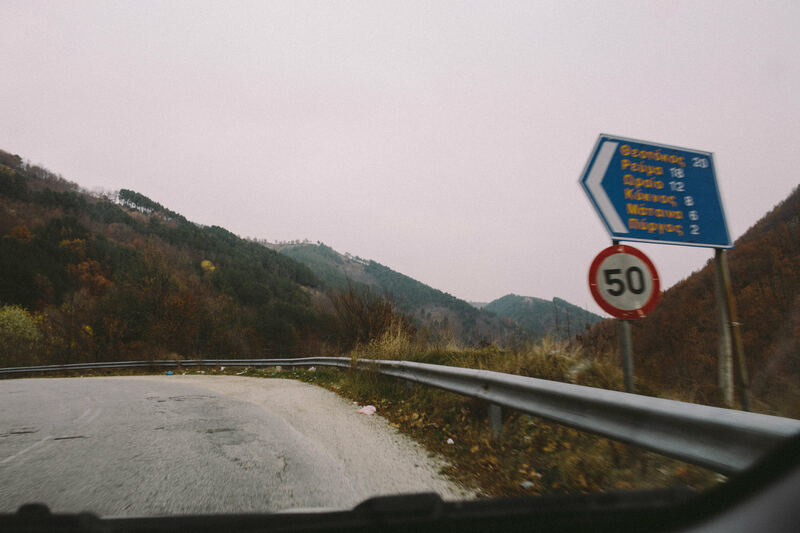 The winding mountain roads leading through the Pomakochoria villages from the city of Xanthi, Greece. This region was once inaccessible to outsiders until the 1990s. Imagine encountering a village of around 3,000 people that hold Greek citizenship, speak 3 languages (Turkish, Pomak, and Greek), practice Islam, and feel somewhat alienated from the rest of the Greek Orthodox majority of Greece. Prior to our arrival to Echinos, I was expecting to encounter a community that had a clear identity or an affinity to a certain culture, language, or people group. I was quite wrong. 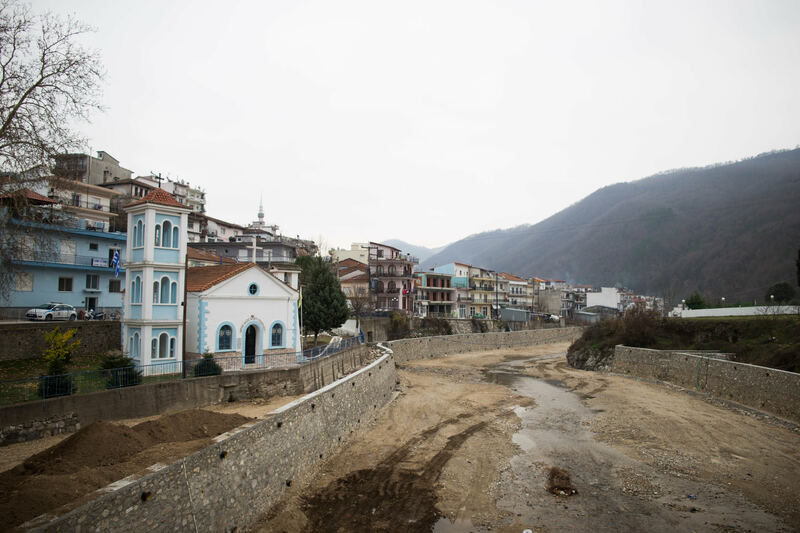 Although their daily lives demand Pomak and Greek to be spoken outside of the home, the overwhelming majority of the population of Echinos speaks Turkish at home. 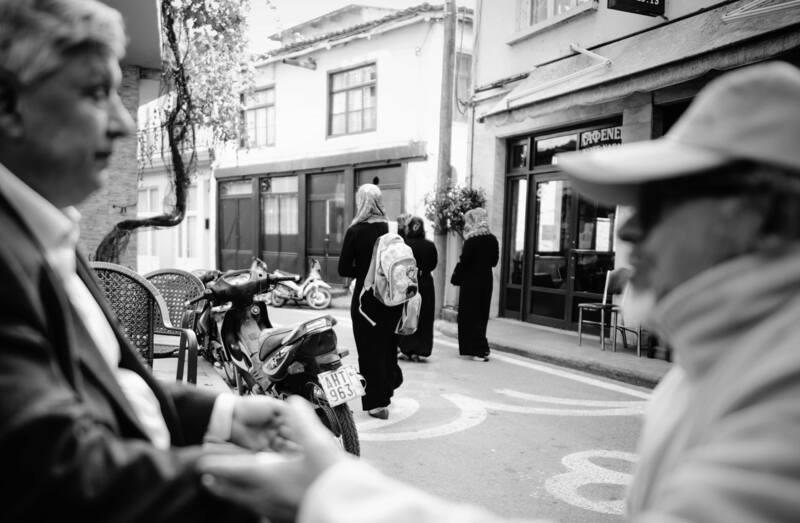 We were able to meet locals through the local kafenion (Ottoman-style coffeehouse), where many of the older generation men spend their days sipping coffee, smoking cigarettes, and solving the world’s problems. What we concluded is that many of the locals in Echinos and in surrounding villages of the Pomakochoria claim Turkish roots, but are also somewhat pressured to claim a Turkish identity due to political reasons. 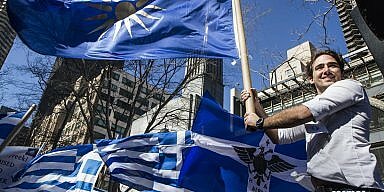 They also did feel like they were Greeks as well because of their geographical location and citizenship, but ultimately we felt that they claimed a Turkish identity. 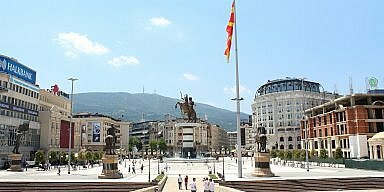 On top of that, there is the odd retention of the Pomak language within the community, which has no written tradition, but has been passed down orally from generation to generation. Even though we were in an EU country, I still had my reservations on whether or not the locals would feel like they could share the opinions openly, especially with us being outsiders. Our advantage, though, was that we were of Greek origin and could communicate in a language that they were fluent in, avoiding any language barrier. The overall consensus was that things are much better than what they used to be. 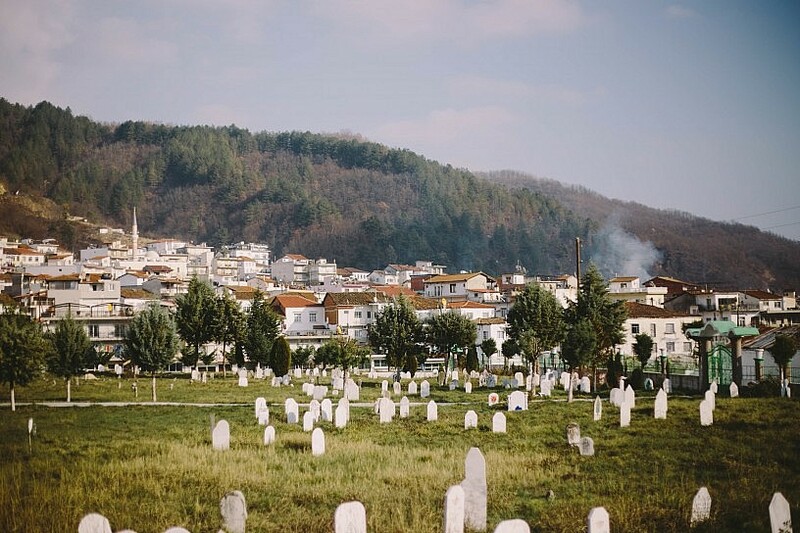 After peeling back the layers, we learned that prior to 1996, outsiders were forbidden from visiting the Pomakochoria region, consequently isolating this community. They were also not allowed to leave the region without gaining permission from Greek police. Whether or not this was true, the locals conveyed that their situation has improved tremendously since then, even though things could still be better. When it comes to the essentials, the educational and medical needs of the community are being met by the Greek government. 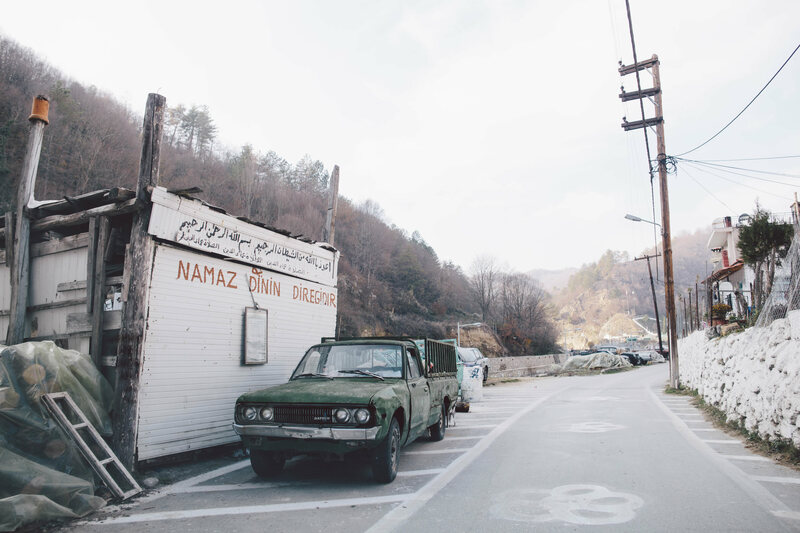 On the other end of the spectrum, I learned that the Turkish government does not play a role in the daily lives of the community, but if anyone from the Turkish-Pomak community wants to travel or gain residency there, it can be done with ease. Local women of Echinos, Greece stroll through the village center dressed in traditional Islamic clothing. A common scene in the Pomakochoria, these villages are known for keeping Islamic traditions and customs. An industrious community, Echinos has approximately 2,000 of its residents living and working in Germany. It seems that this has sustained the village and region the last couple of decades and protected it from external factors (isolation, economic crisis, urbanization, etc.). 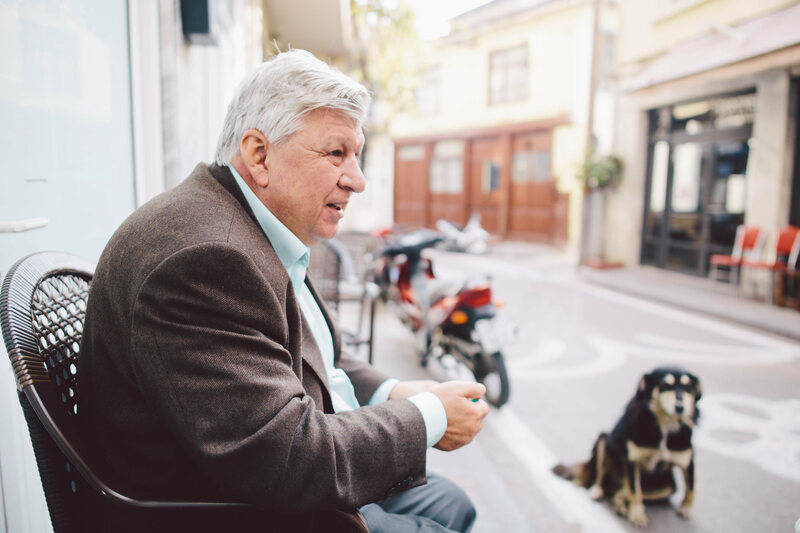 Unlike most of Greece, where the lifeblood of the economy is in crisis, Echinos enjoys a quiet prosperity due to family members sending money over from Germany. Interestingly enough, the villagers living in Germany own over 20 businesses there that specialize in repairing ships. We met a local retired teacher, Ibrahim Sali, who was very inviting and warm, and loved giving us insight on the village’s history, culture, language. He even was willing to share some local gossip. He had his own take on how the majority of the community’s young men are away in Germany leaving behind their wives and families. Ibrahim Sali, a retired teacher from Echinos, sat down with us to share about the village’s history and culture. Like many locals of Echinos and the Pomakochoria, he speaks Turkish, Pomak, and Greek. What’s more is that as we drove around and walked through the village, we noticed that there was no plateia or main plaza. This is always found in a Greek village as the epicenter of community and social life where one can find cafés, restaurants, and businesses. 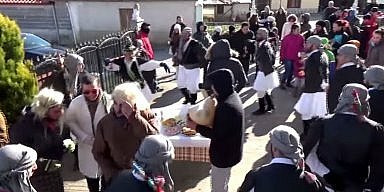 Instead we found that the village had a couple of kafenions and bougatsa shops scattered throughout, but no plaza or social epicenter. This showed us that the community was more reserved and quiet in comparison to villages populated by ethnic Greeks. Although Pomak, known in Greek as Pomakika, is not the language spoken at home in Echinos, we were able to have Ibrahim provide a small list of words in Greek and English translated into Pomak. Many of the words are slavic in origin, but there also words that come from Greek or Turkish. 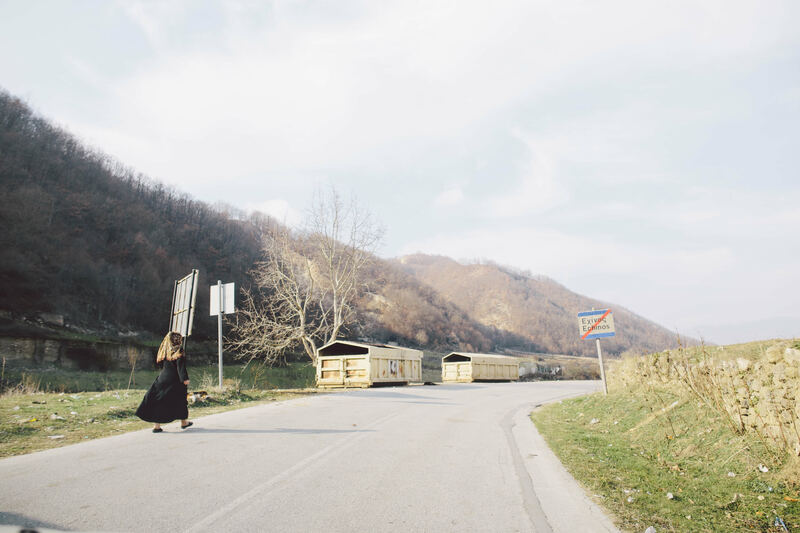 A local woman walks alongside the road leaving Echinos for the village of Melivoia. Turkish and Arabic script on a building alongside a road in Echinos, Greece. The Pomak village of Echinos, Greece. The Pomak village of Sminthi, Greece.